We added a new Status link to the Support menu. 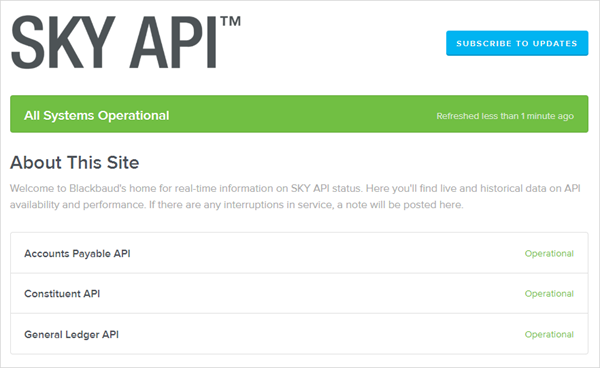 This link takes you to our new SKY API status page. The status page provides the current state of API availability, as well as specific details on downtime incidents. 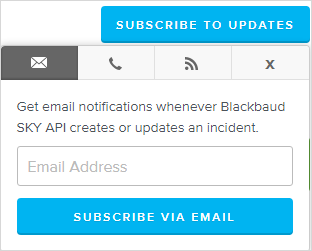 We also provide the option for you to subscribe to automatic incident notifications by email, SMS, or feed. For more information, including how to sign up to receive notifications, visit our SKY API status page or our SKY API developer website.